I am THRILLLED to once again be involved in the Tamworth Literary Festival, which comes to town between Friday 2nd – Saturday 10th March. Over 20 authors, poets and storytellers will be coming to this part of Staffordshire, from a huge variety of genres: history, romance, thriller, crime, fantasy, steampunk, books for children and more. Live poetry, a storytelling evening, a comedy night and music also feature on the programme, as well a film maker and author book signings. We’d love to welcome you to the town and the festival. There is a charge for some events, but others are free. You can book tickets in advance or pay on the door subject to availablilty. The opening night ,on March 2nd, St Editha’s Church welcomes Professor Martin Carver from York University. 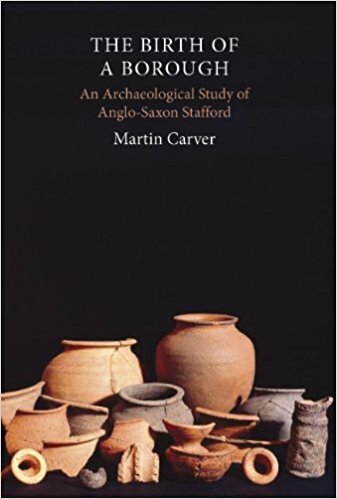 Professor Carver’s talk, entitled ‘Aethelflaed and the Origins of Stafford’ will take place at 7.30pm and it will assess the archaeological evidence for Stafford’s Anglo-Saxon fortifications built at the behest of Aethelflaeda to defend Mercia against the Danes. Tickets priced at £7.50 can be booked through Eventbrite. 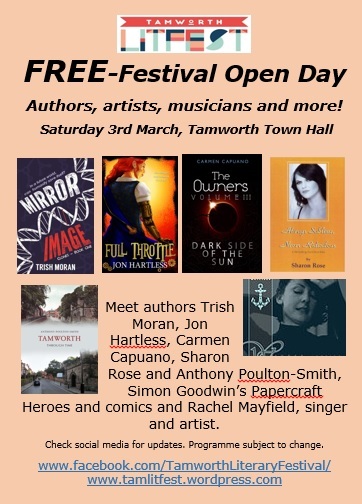 The following day, Saturday 3rd March, there is a free drop in Festival Open Day at Tamworth Town Hall featuring authors Jon Hartless, Trish Moran, Anthony Poulton Smith, Carmen Capuano, Sharon Rose, musician and artist Rachel Mayfield and Papercraft Heroes. You will be able to chat to authors and if you wish purchase signed copies of their books. On Monday 5th March there will be a Poetry Night at Bolehall Manor, compered by Mal Dewhirst, the original Poet Laureate for Staffordshire, who will be welcoming poets from Tamworth and beyond. Entrance for those who would like to read and for audience members is free. On Tuesday 6th March the Market Vaults will host a Storytelling Night (free entry) and there will be authors and storytellers including local writers, New Street Authors and Solihull Writers, including Lee Benson and Dennis Zaslona . 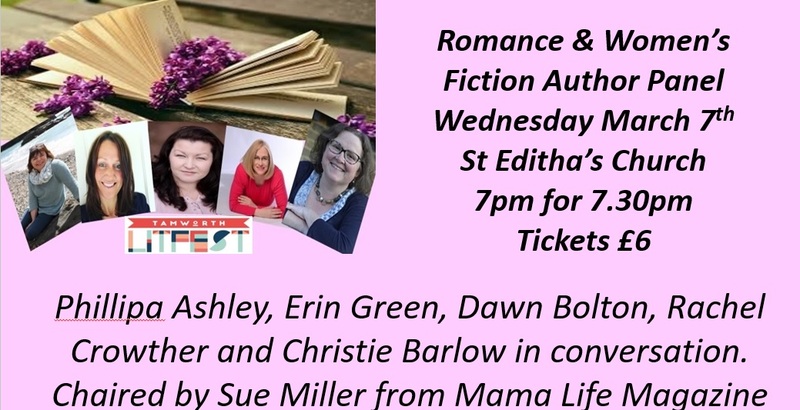 Wednesday 7th March will see a Romance and Women’s Fiction panel in St Editha’s Church, featuring bestselling authors Christie Barlow and Phillipa Ashley, Erin Green and Dawn Bolton. Tickets are £6 per person and are available on Eventbrite. 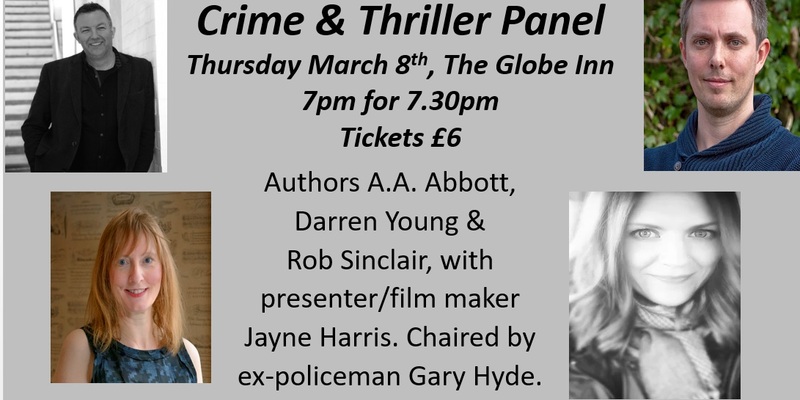 The Globe Inn is the venue for a Crime and Thriller panel on Thursday 8th March, featuring bestselling author Rob Sinclair, AA Abbott, Darren Young and Jayne Harris, a presenter and film maker. Tickets are £6 per person and are available on Eventbrite. On Friday 9th March there will be a Comedy Night with Dudley born poet, humourist and singer Rob Barratt, Tickets £7 or £10 to include fish and chip supper and can be purchased from Eventbrite. On Saturday March 10th Tamworth library will host storytelling sessions by Karen Argent from Malvern based Letterpress. The drop-in sessions, designed for children aged 7 and under, are free to attend and take place at 11.00am and again at midday. 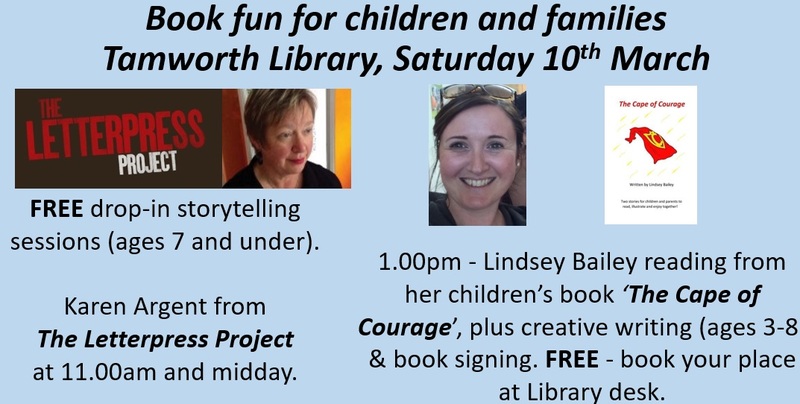 At 1pm children’s author Lindsey Bailey will be reading an excerpt from her book ‘The Cape of Courage.’ This will be followed by a mini creative writing activity suitable for ages 3-8, after which there will be an opportunity to purchase signed copies of the author’s book. The session is free to attend but please book in advance at Tamworth Library to secure a place. 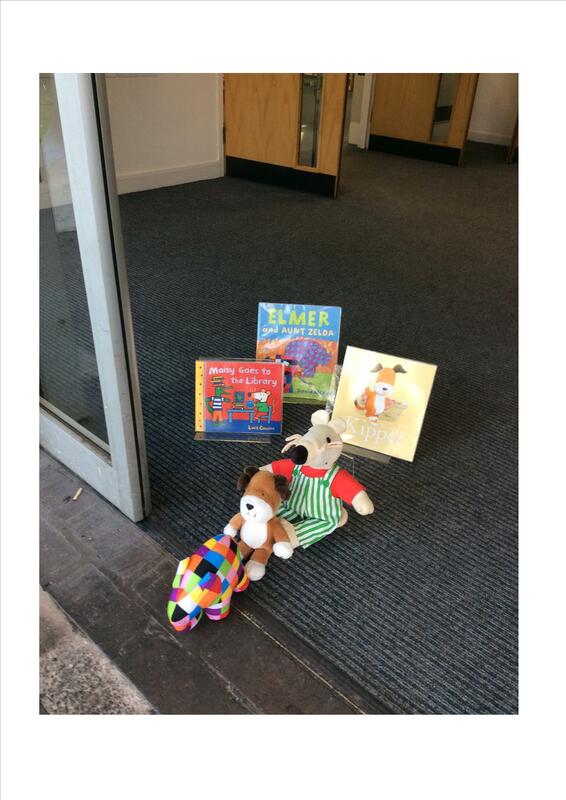 We also need your help – some of the children’s book characters have escaped their books and are hiding around the library. We need children and their families to help us find them. This will take place between 9am and 4pm on 10th March – find all the book characters and receive a chocolatey piece of treasure. A Poetry as Therapy Workshop, facilitated by Sharon Rose, will also take place at the library from 11.15am-12.15pm. Information boards detailing the events and activities available during the Tamworth Literary Festival week will be on display in the library foyer from February 26th. There is also time to enter the LitFest’s Writing Competition, open to applicnts worldwide, which seeks short stories and poems on any theme (closing date 31st March 2018). The competition is open to all ages (free entry for those below school age). The Tamworth LitFest was set up in 2015 to provide literary inspired events for the benefit of the public. It promotes local and wider community participation in literary inspired events and activities that aim to be as fully inclusive as possible.